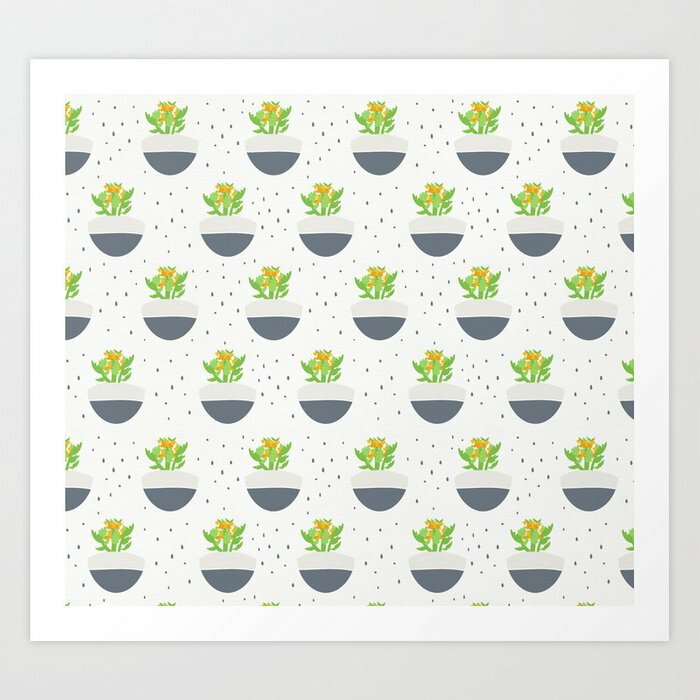 This pattern was drawn as part of my 100 day pattern challenge by the way, isn't it amazing the things that you see inspiration in when you are drawing every day? 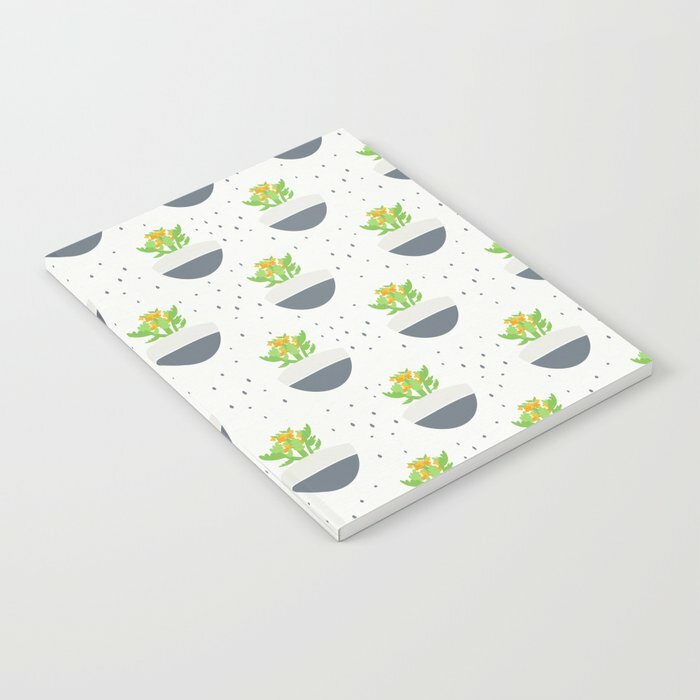 My pattern in print form from Society6! Its drawn digitally but placed on a watercolour texture for a hand drawn feel. Little asymmetrical dots surround the plants, and these Kalanchoes are in bloom with gorgeous orange flowers. 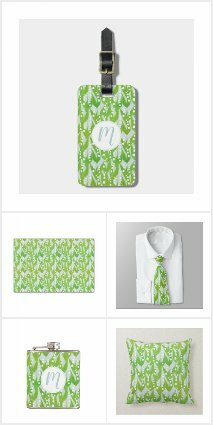 Here are a few products with my Kalanchoe pattern, from my Zazzle and Society6 shop! 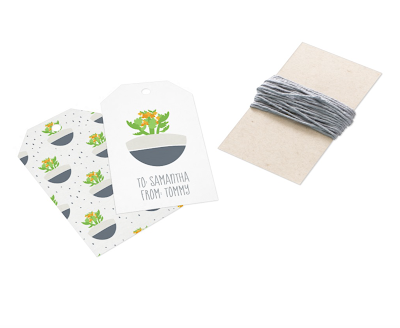 Custom gift tags from Zazzle, with the pattern on the back & illustration on the front! 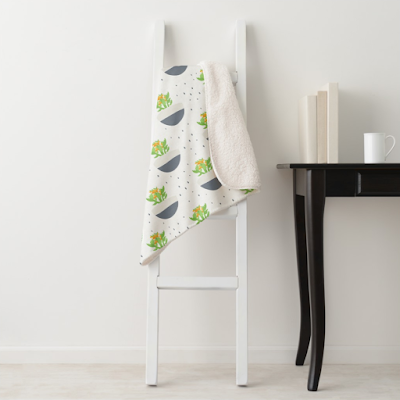 The cute botanical kalanchoe pattern on a warm and cozy sherpa blanket. 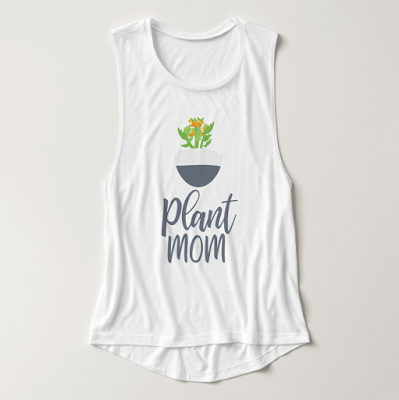 And, for those plant moms out there who don't kill their plants and instead have an exceptional green thumb, I've created a "Plant Mom" typography design featuring my potted Kalanchoe illustration. 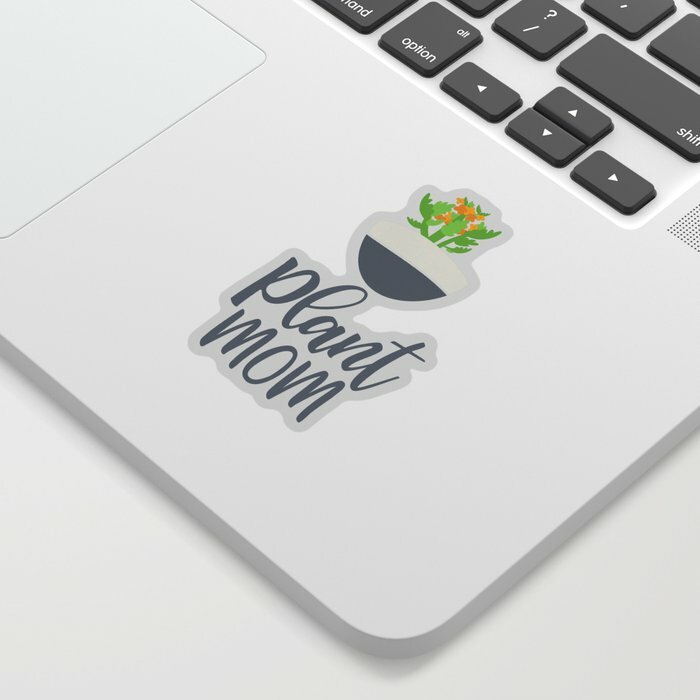 Its available on my Zazzle, Society6 and DesignByHumans shops on various products! 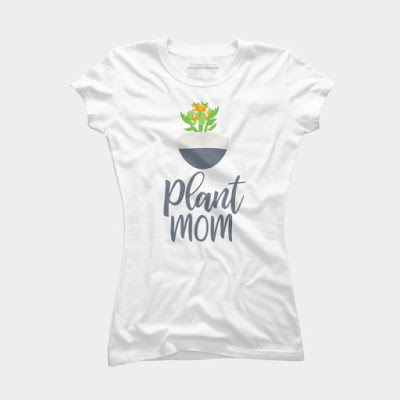 Hope you like this new design! Do you have a favourite houseplant that you have drawn creative inspiration from? Feel free to share in the comments below! 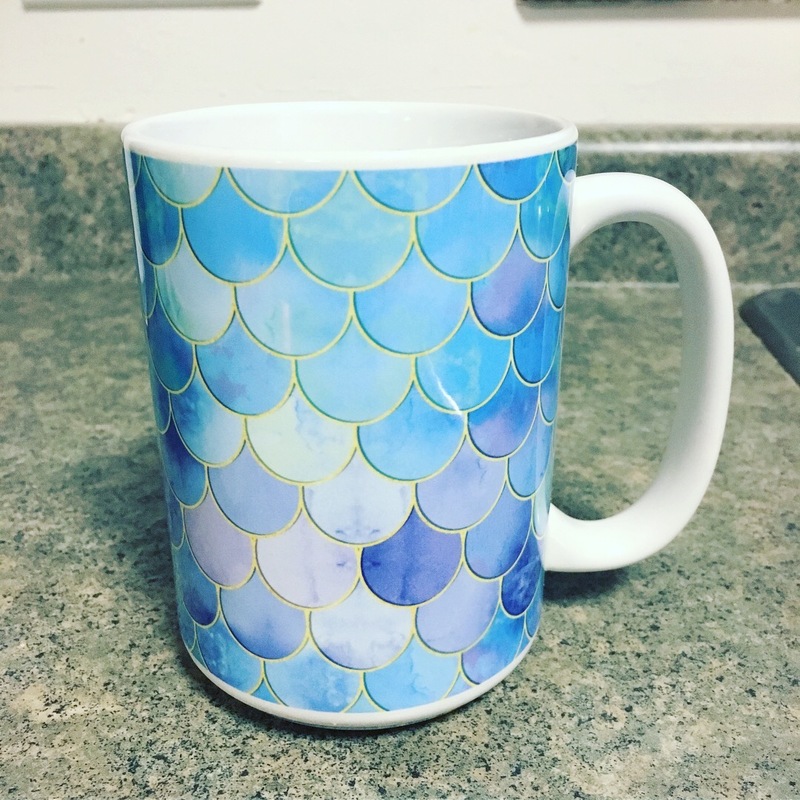 I could have purchased the mugs through any of my print on demand shops, but I chose Society6 because I really wanted to make sure that the print quality of items I am offering in my shop is good. 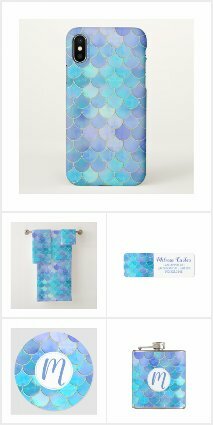 There is also a bit of an artists discount at Society6, plus they have sales often so if you wait for a sale day you can save quite a bit on custom printed gifts. to the colour of my original design in person! colours compares to what is on the mugs! 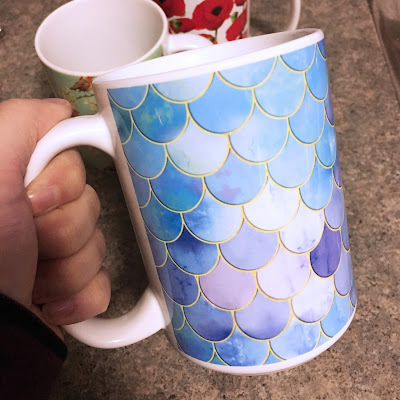 Well, I was really happy with how these mugs turned out! The colours are vibrant and rich in print, and the designs printed nice and crisp. What you get in person is pretty accurate to what is shown in the mockup, which was great to find out. On the 11 oz mugs, the pattern designs print almost right to the edges and on the 15 oz mug there is a bit of a white space on the bottom where the mug curves. My mom was thrilled to get these! She thought the designs were beautiful, and was even more excited for them when we found out they were dishwasher safe. She has since put them in the dishwasher a few times, and the designs have kept their vibrancy, which is nice. I do not own a dishwasher, so I've been hand washing mine with no issues as well. 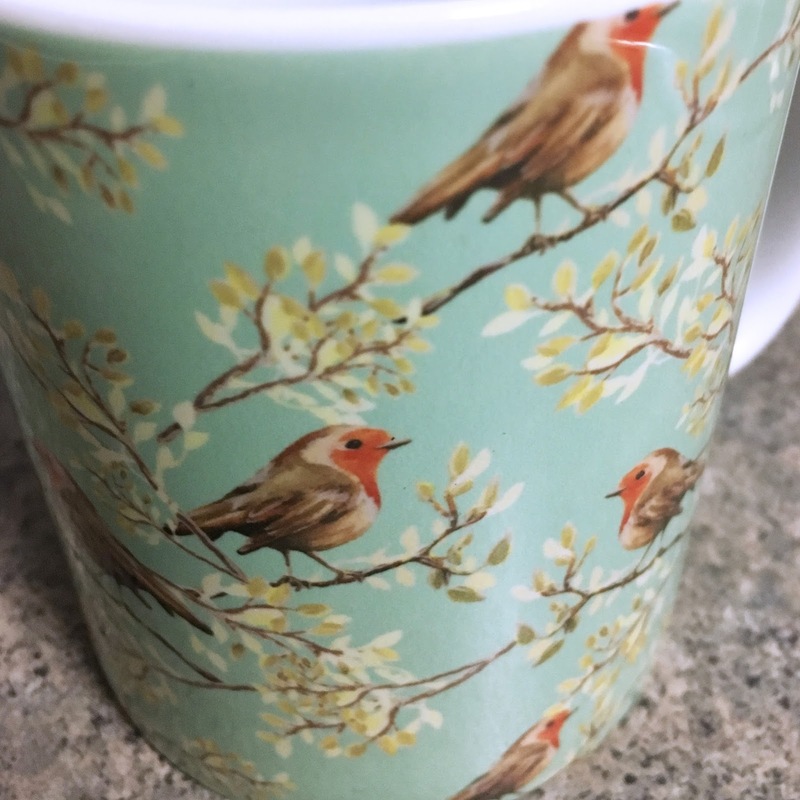 These mugs are also microwave safe, so they make great hot chocolate mugs. 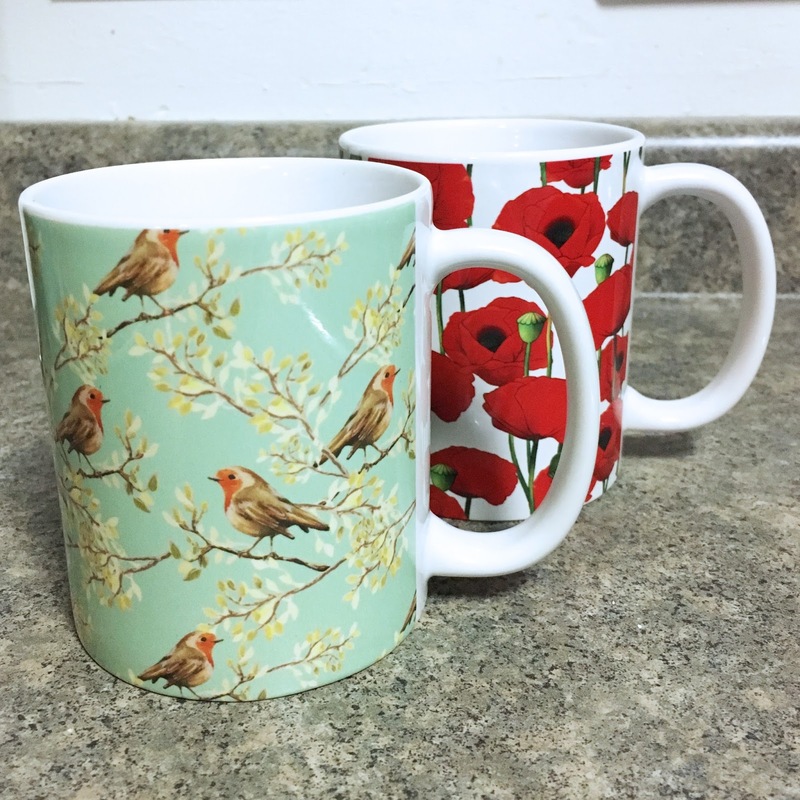 As for the actual mug quality, these are very nice premium quality ceramic mugs. The construction of both the 15 oz and 11 oz mug is smooth and sturdy. The handles are nice and wide and easy to hold. The mugs also don't get too hot when you put piping hot coffee in it, and instead give off a nice warmth (which is extra nice for warming your hands in the winter!). The package they came in was just a standard brown box, but inside they were packed really tightly with extra padding and cardboard dividers so that the mugs can't move around and break during shipment. Holding my nice coffee sized 15 oz mug! As for shipping, they did arrive quickly... but unfortunately they did not actually arrive to my house because of those pesky duties. Extra charges because of customs is probably the only thing I really hate about being Canadian! I had to drive to a pickup location to get my package, where I had to pay extra. The duties were basically like paying the shipping cost a second time. 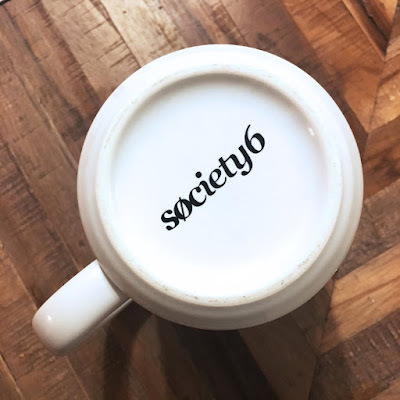 Now, Society6 will refund duties the first time you get them, which is great. But in Canada if you have any order over $20 coming over the border you are subject to duties, and since I was hit with them on my very first order I'm not optimistic that I'll dodge them for my second or third order. 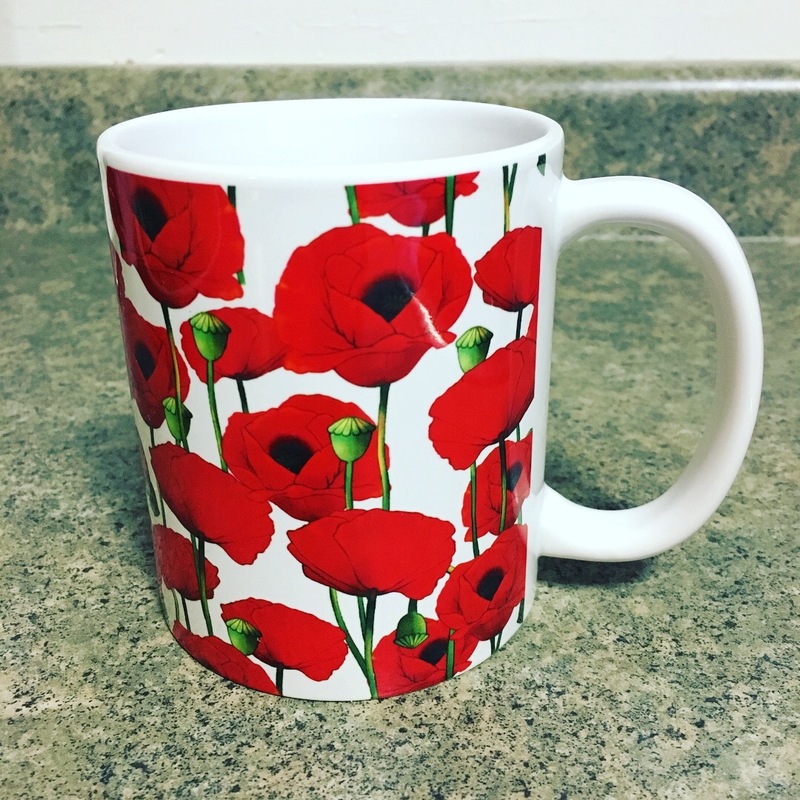 This experience is echoed from other Canadian artists in the Society6 community, who are repeatedly charged duties. 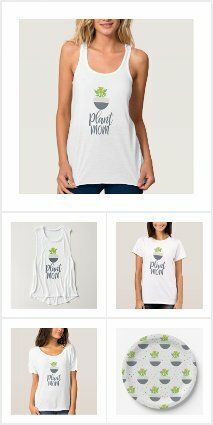 I do not think that Society6 provides ample warning about duties on their main order page, but considering the rate at which international orders shipped by them are charged extra, they really should. So, I'll just put this here as a little heads up - if you are living outside of the U.S.A, especially Canada, chances are you are going to get charged with customs. 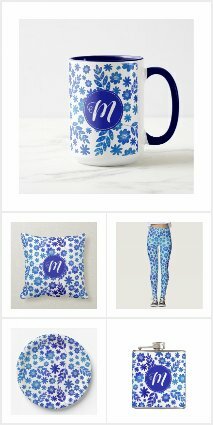 Maybe one day they will improve upon this or switch shipping carriers, but at the time of writing this, if you are an international buyer count on pesky duties being part of your shipping experience with Society6. 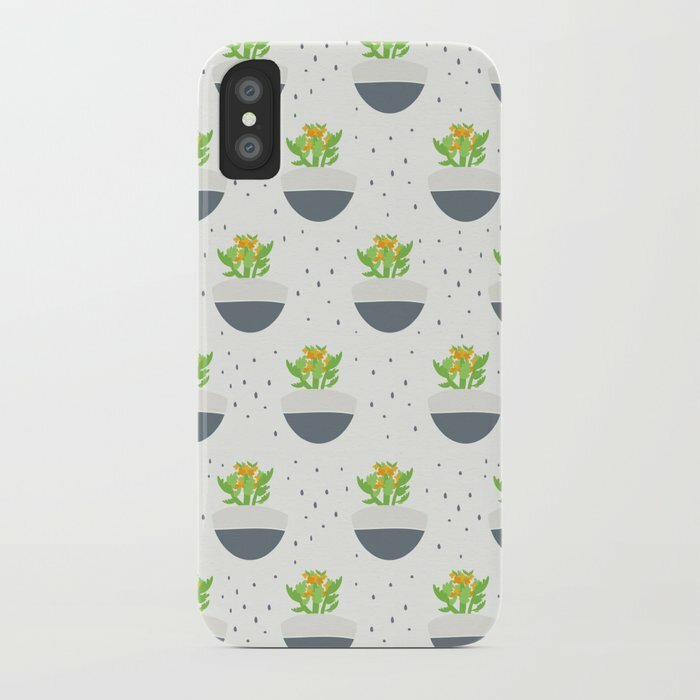 Even though I was charged duties, I would definitely order from Society6 again... but will be ordering on sale days to anticipate extra charges from customs. 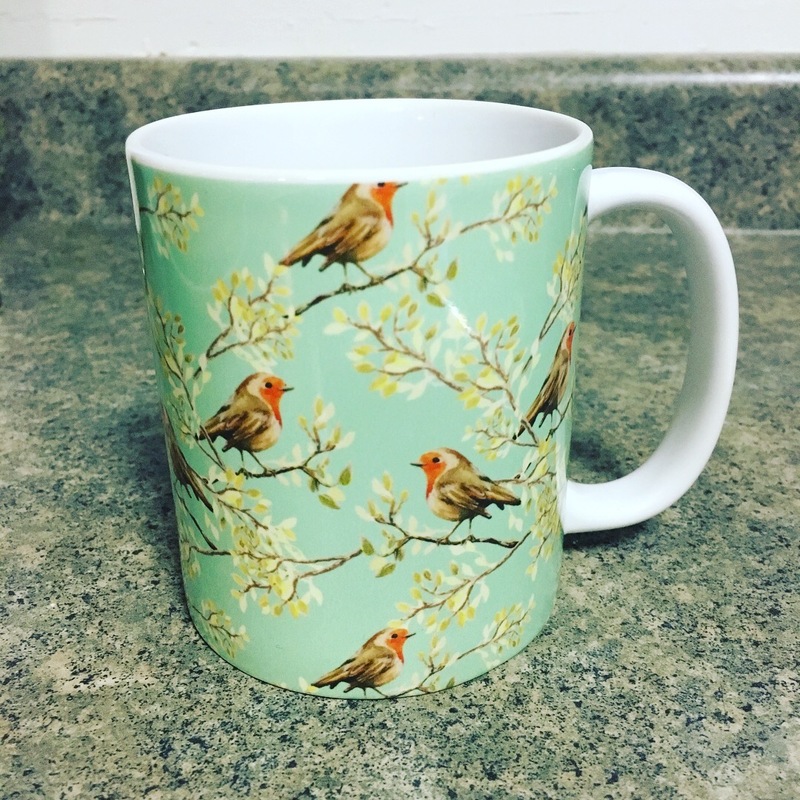 The print quality and product quality of these mugs is great, the price isn't so bad for a custom print item, and they do ship fast. Plus I'd love to get one of those floor pillows one of these days. I think my cat would love it. :) Overall I was really impressed with the items I received, and it makes me happy to know that my customers are getting an extremely accurate print of my artwork on the products they order. 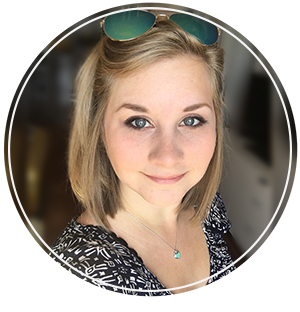 I hope this review has been useful to you! If you have any additional questions about these mugs, I'll do my best to answer them in the comments below! To find these mugs & more in my Society6 shop, click here!